Are there any extra charges e.g. parking, congestion charge? Yes, In most cases our cleaners use company or private vehicles which must be parked safely for the duration of the service. If any parking fees or congestion charges occur they will be added to the client’s bill. Minimum payment of £55 is required. £NO booking fee is required. Best Cleaning reserves the rights to amend the initial quotation up to 30% if the client requirements change on the day of the visit or if the state of the property is different from the information received on the day of the booking. Customer must secure a car parking and if the Clients address falls into the Congestion Charge Zone an additional £8.00 charge may apply. If a client prefers the cleaner to collect the keys from a third party’s address, then he/she will be charged an extra £10 for each cleaning visit. Its the clients responsibility for all the bank and legal charges resulting from a dishonoured cheque. No, currently we do not charge VAT. Do you work on Weekend and Bank holidays? Is it more expensive? You can pay by cash or cheque upon completion of the work, all customers will receive an invoice. The price is fixed. Cleaning materials and equipment will be provided by us . Any building work or washing walls, ceilings, balconies and etc. must be required from labourers, painters and etc. Washing up/laundry is not included in Move in/out cleaning. The place must be vacated from all the furniture. The Client must pay to Best Cleaning by cash upon finishing the job. In case of a complaint, Best Cleaning requires to be notified within 24 hours after completion of the cleaning work. No claims will be entertained after the above time limit. All estimates made on the day of the booking are for illustrate purposes only, they are based on estimates for similar property. Bets Cleaning reserves the rights to amend the initial quotation up to 30% if the clients requirements change on the day of the visit or if the state of the property is different from the information received on the day of the booking. We require a minimum of 3 hours per visit. Customer must provide a list of cleaning tasks and all required cleaning equipment unless agreed other. All equipment must be safe for use and in good working order. 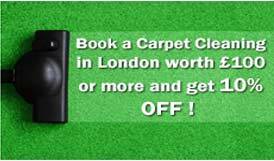 If customers do want to be supplied with cleaning equipment and material a surcharge will apply. All estimates made on the day of the booking are for illustrated purposes only, they are based on estimates for a similar property and service and the quote includes only labour unless agreed with us. 2 weeks notice if any circumstances changed. No booking fee is required for Regular Domestic Services. If a client prefers the cleaner to collect the keys from a third party’s address, then he/she will be charged an extra £10 for each cleaning visit. If the client orders a trial first instead of regular domestic services then he/she must understand that all trials are charged as One off visits. All payment must be made by cash or cheque at the end of the week upon receipt of a weekly invoice via Bank transfer. Our drivers will always try to park legally and close to your property, however ensuring adequate parking is the responsibility of the customer. As such we recommend that you either obtain permission from your council or reserve space outside your property- this will help keep loading time to a minimum and avoid any parking fines. If a penalty charge is incurred we request immediate payment to the driver by the customer. The laws are (loosely) as follows- Double red lines usually means no stopping or loading ever, single reds may have loading bays or time restrictions, double and single yellows usually allow 20 minutes of loading provided the warden can see it taking place (unless there are curb markings/signs saying otherwise).